Ayia Napa is a big resort and if you want to reach places like Nissi Beach or WaterWorld Waterpark by walk you will need 30-40 minutes. Quad hire, needs a provisional or full drivers licence depending on the engine size. Car hire is 21. Head down to Easy Riders for 10% discount on all rentals with your Ayia Napa MVP Wristband. Bus service will cost you €1.50 to go to Nissi Beach or the Water Park. 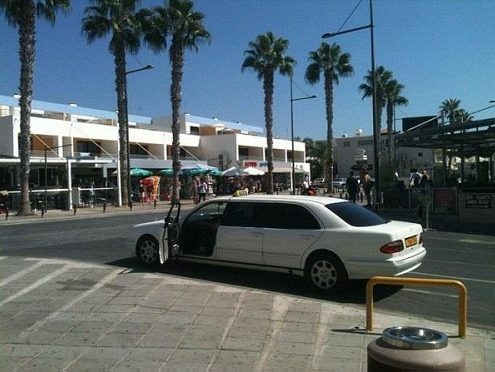 Taxis are everywhere in Ayia Napa, it costs in average 8 euros per ride. There is nice beach walking distance from the square. We recommend hiring a buggy or quad, as you will experince more things for less time and thus boosting your Ayia Napa holiday experience. You should always wear a helmet when riding a quad bike even when you are “off road”. Never consume alcohol prior to, or during the rental period. Consider taking out the liability insurance details as there are reports of disreputable companies over-charging customers for minor damage.